Last year, three ex-Googlers founded a company, Jide. The company has launched their own Android tablet know as Jide Ultra Remix which looks identical to Surface tablet, but runs a different operating system. 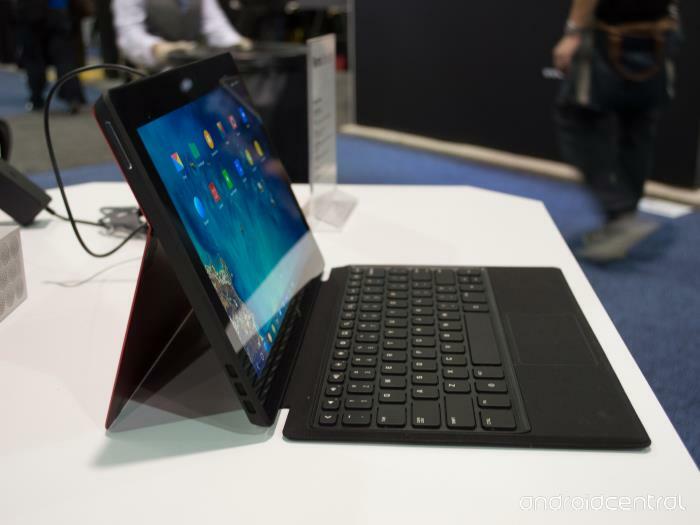 Similar to Surface Pro line, the tablet features a keyboard which can be attached to the tablet magnetically, and has a kickstand which can be extended between 40 and 80 degrees. Jide Ultra Remix tablet features an 11.6-inch display sporting a resolution of 1920 by 1080 pixels, and is powered by an unknown NVIDIA 4+1 processor paired with 2GB of RAM. The tablet runs Android 4.4.2 KitKat as its operating system, and the company calls it Remix OS. The company has confirmed they are working on the Android 5.0 Lollipop update, but they didn’t give out an exact availability date. The OS is customized in a way to give you a look and feel similar to Windows and comes with Google Play certification. Jide Remix Ultra tablet will soon go on sale in China, and will launch in the US and UK in the second or third quarter of 2015 carrying a $349 price tag for the 16GB version and $449 for the 64GB model. Furthermore, the tablet will hit retail in several color options, including “bright red” and a “clean silver.”.